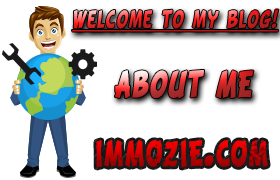 Thank you for visiting immozie.com aka Internet Marketing Mozie, below you can see the authors of this blog and view all the articles that have been posted by them. If you wish to become an author and can offer high quality reviews on popular IM products, get in contact with me via email. If you own a Internet Marketing or SEO product/software and would like me to do an honest review. Contact me and I will be happy to consider your request if I feel your product is good and can add value for my readers. You can also submit your awesome product for review here. Internet Marketing Mozie is a online marketing blog bringing your the latest reviews on IM products, SEO products, Internet Marketing Guides and more. I have been blogging and doing internet marking for a few years now and have learned a lot. Check out my blog to get in depth reviews of the best IM products, services and tools out there! Copyright © 2014 immozie.com - Internet Marketing Mozie - The Ultimate Internet Marketing Reviews Site , All Rights Reserved. Thanks for visiting & do not forget to sign up to our exclusive newsletter to stay informed of our latest offers and freebies! 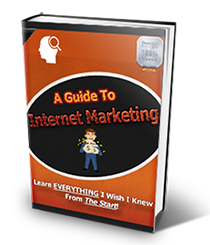 Start A Real Career With Internet Marketing & Learn Everything I Wish I Knew From The Start! Subscribe to My Latest Updates, Tutorials, Freebies & Special Offers!